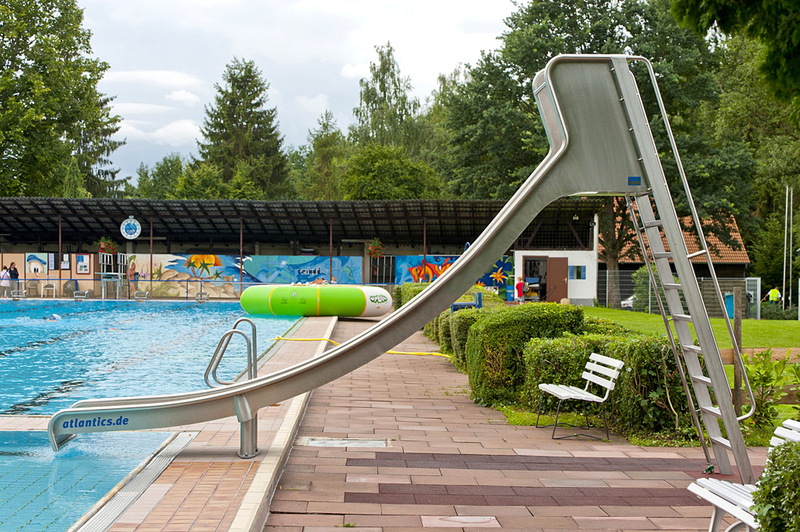 Splash fun at the open-air swimming pool of Bad König. 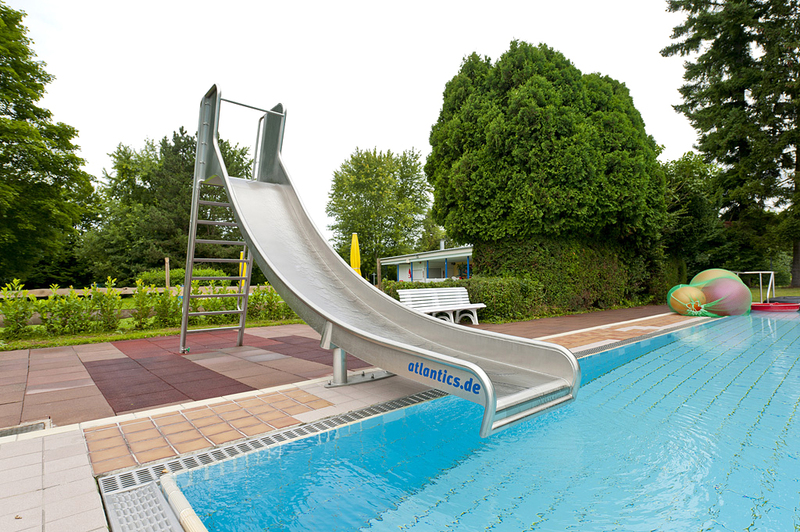 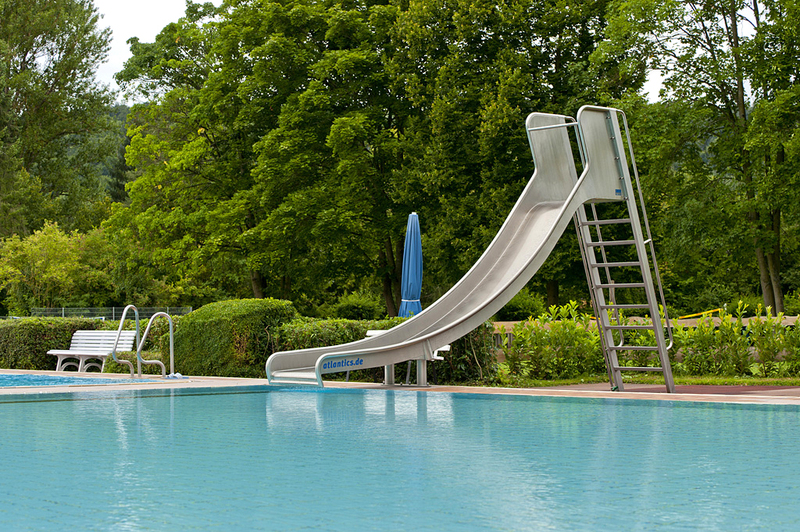 As the freestanding water slide of the open-air swimming pool of Bad König/Hesse shows, also smaller and less expensive slides can bring about a lot of splash fun. 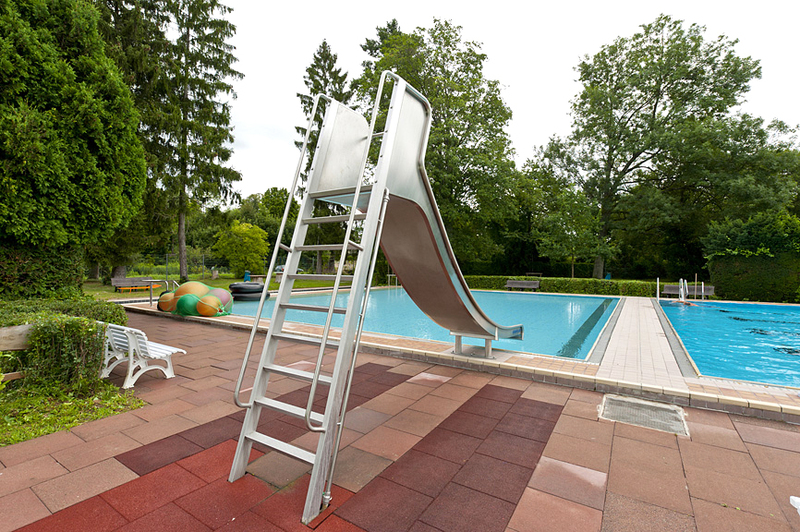 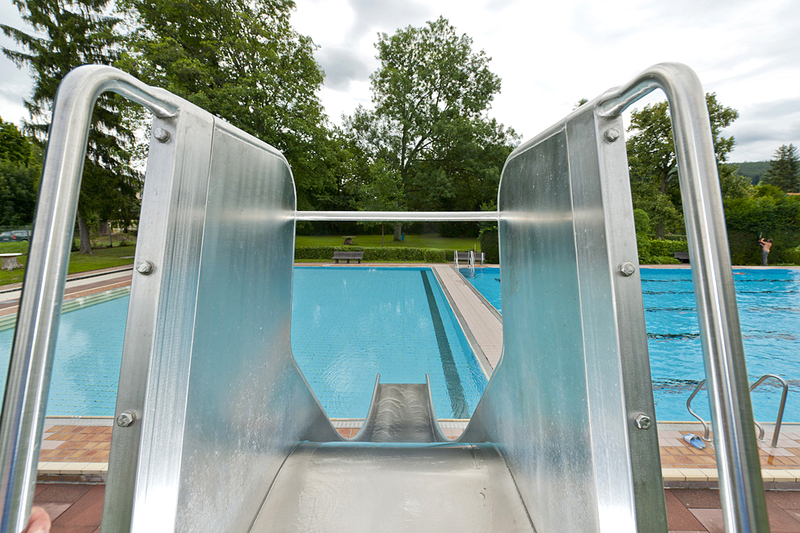 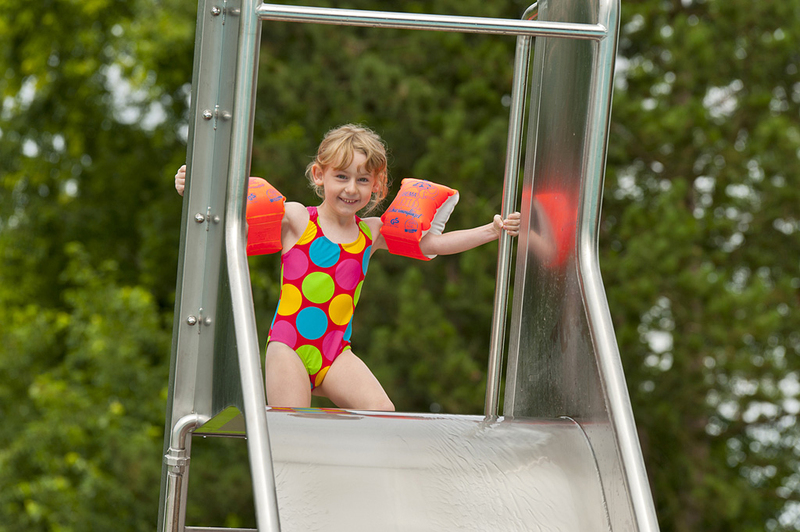 The integrated steps mean that an expensive platform is not needed, making this type of slide particularly appealing for smaller swimming pools.